Orléans and Metz meet at Stade de la Source, in a match for the 20th round of the Ligue 2. 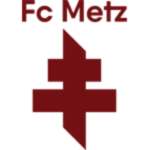 Metz got a home win by (5‑1), in the last league head‑to‑head, played in 03‑08‑2018. Both teams register significant differences between home and away results, so the home/away factor is worth atention. The home team is currently in the 11th position of the league, with 26 points won, after 8 wins, 2 draws and 9 losses. In the penultimate match, they lost in a home match against Ajaccio, by (1‑3). In the last match, they won in an away match against Béziers, by (1‑2). This is a team that, oddly enough, has had better results in away matches than at home, since in the last 30 matches they register 7 wins, 3 draws and 5 losses in away matches; against 4 wins, 4 draws and 7 losses at their stadium. In their last match, for the Coupe de France, they got a home win against L'Aiglon du Lamentin by (3‑2), after extended time. In the last 10 home league matches Orléans has a record of 4 wins, 1 draw and 5 losses, so they have won 13 points out of 30 possible. Their offense has scored consistently, as they have scored goals in 7 of the last 10 matches for this competition. They have conceded the first goal in 10 of their 19 matches for this competition, and have never been able to turn the score around. there are 2 periods that stand out in the last 10 home matches for this competition: they have scored 4 of their 11 goals between minutes (61'‑75'); they have suffered 5 of their 13 goals between minutes (46'‑60'). Orléans are currently in the middle of the table, in an area without many things to worry about, but it is clear that improving the campaign is always good and it is after that that will go. The home factor can influence a lot in this duel, therefore the hosts get more strength to go in search of the victory, however when facing the leader of the championship will need to have more attention. In this way, they will try to nullify the opponent from the initial minutes, having ball possession and controlling the duel, as this increases the probability of winning. The manager should take to the field the best players that are available. Confirmed Lineup: G. Gallon, G. Mutombo Kupa, G. Pinaud, Q. Lecoeuche, P. Bouby, Y. Demoncy, K. Ziani, J. Lopy, D. Avounou, A. Le Tallec, O. Cissokho. The away team is currently in the 1st position of the league, with 41 points won, after 13 wins, 2 draws and 3 losses. In the penultimate match, they won in a home match against Red Star, by (2‑0). In the last match, they won in an away match against Valenciennes, by (0‑2). This is a team that usually gets better results in away matches than at home, since in the last 30 matches they register 9 wins, 5 draws and 1 loss in away matches, with 22 goals scored and 12 conceded; against 9 wins, 1 draw and 5 losses at their stadium, with 25 goals scored and 14 conceded. In their last match, for the Coupe de France, they got an away win against Olympique St Quentin by (1‑2) after extended time. In the last 10 away league matches Metz has a record of 7 wins, 2 draws and 1 loss, so they have won 23 points out of 30 possible. In this competition, they haven’t lost any of the last 5 away matches. In their away league matches the most frequent result at half‑time was the 0‑0 (4 out of 10 matches). Their offense has scored consistently, as they have scored goals in 7 of the last 10 matches for this competition. In 18 matches for this competition, they have conceded the first goal 5 times but have turned the score around in 2. In the last 10 away matches for this competition there are 2 periods that stand out: they have scored 6 of their 16 goals between minutes (76'‑90'); they have conceded 3 of their 7 goals between minutes (0'‑15'). The great campaign that Metz has been doing fills the fans' eyes, after all the team are leading the league, is in the access zone and show a quality football, unlike most clubs. The expectation is to maintain this throughout the season, as they hope to return to the national elite, so regularity is a key part of that and that is precisely why they want a positive result in this round. We know the away team's quality and it will not be surprising if they win, but the minimum they expect is a draw. The manager should take to the field the best players that are available. Confirmed Lineup: A. Oukidja, S. Sunzu, I. Balliu, J. Boye, T. Delaine, F. Boulaya, R. Cohade, O. N'Guette, M. Fofana, V. Angban, H. Diallo. 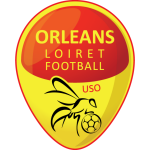 Orléans are in the middle of the standings, and in this round will face the leader of the competition, soon need to show good football on the field if they want to achieve a good result. The away team are leading the competition and even if playing away from home they are able to achieve good results in the competition, so we believe they will enter the field very focused to conquer the three more points. We believe the away team is the favorite for this game, but it will not be easy to achieve the victory, so we see in this match a good chance of both teams scoring goals. For the facts quoted our bet will be that both teams to score at least once. Market Match Odds Over/Under 2.5 goals Half Time First Half Goals 0.5 Over/Under 1.5 Goals Over/Under 3.5 Goals Over/Under 0.5 Goals Both teams to Score?